We have purchased equipment from Germany, the United States, India and many other countries all over the world. Our cooperation with SBM has made a deep impression on us. Now, the equipment in China is really not inferior to that in Europe and America. From the rapid response of the first inquiry, to the after-sales service, as a whole, we felt that SBM was really thinking about the customers. Especially during the installation period, engineers and the India office staff stayed at our site for guidance and follow up, and they were serious and responsible. 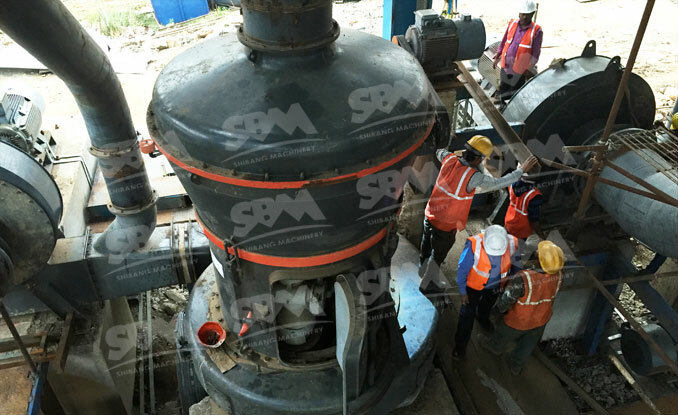 After the commissioning of the project, we were very satisfied overall, although there were many problems during the period, with high response speed and good service, SBM soon helped us solve the problem. As owners, in the project period, it's normal to have all sorts of problems, but we are most concerned about the feedback response of the problem and the attitude and speed of the resolution. At this point, we are very satisfied about what SBM has done. The output of 3 sets of the equipment in the new factory is 30-35tph. The equipment not only has a big output and a good environmental protection effect, but also has a very low power consumption. The most critical is that the power plant is particularly satisfied with our desulfurization agent. Fineness control is also very good, and the international standard control system makes our work more easily. We have other milling items under discussion at the moment, and we hope to reach further cooperation as soon as possible.